Sometimes simplicity makes for the best cookie. 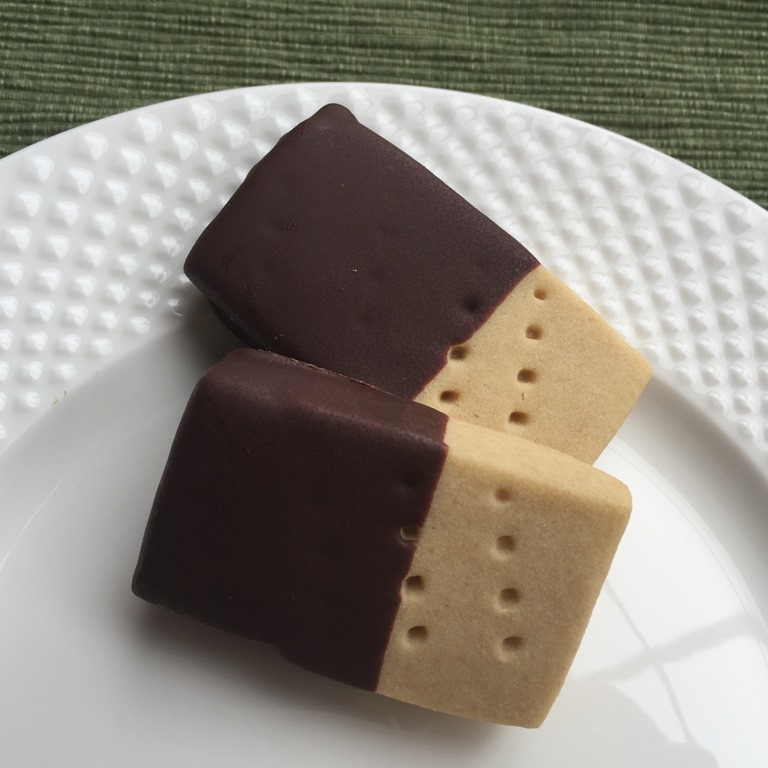 There is nothing fancy about this shortbread. Just good, quality ingredients that combine to make a cookie that melts in your mouth. A perfect companion to a cup of homemade hot cocoa. For a fancier treat, dip half of each cookie in melted dark chocolate. Make sure that butter is very soft, but not melted. Cream butter and brown sugar with a mixer for a full 2 minutes. Beat in vanilla and salt. Gradually add flour, mixing well. Lightly sprinkle flour on a pastry board or mat. Gently press dough into a rectangle ½” thick (about 10”x 12”). Use a rolling pin to level out the top of the dough. 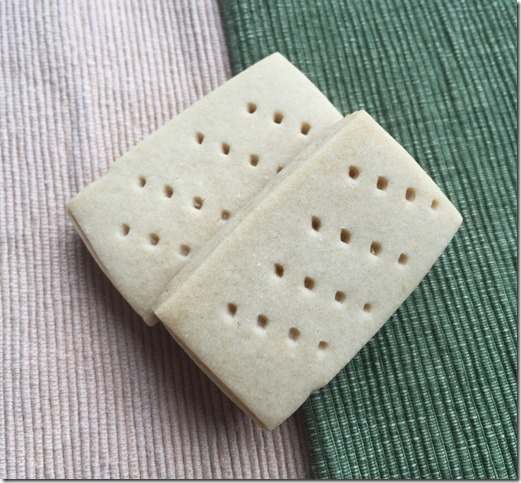 Cut dough into 1” strips lengthwise and then into 2-3” wide rectangles. Prick each cookie with a fork about 4 times. Use a thin metal spatula to transfer unbaked cookies to an ungreased baking sheet, leaving a small space between cookies. Bake at 325°F for 20-25 minutes. Do not brown. Cool on a wire rack. OPTIONAL: Melt chocolate and pour into a narrow bowl or cup. Dip half of each cooled cookie in the melted chocolate. Place on parchment paper or wax paper to harden.